The military in most cities are there to serve and protect the citizens of it. But in Mexico the opposite seems to be true. 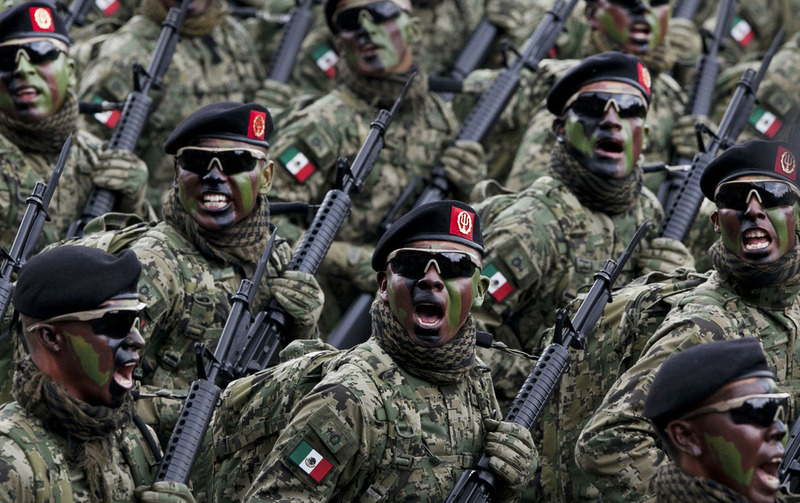 According to the government’s own figures, the armed forces of Mexico are exceptionally efficient killers — stacking up bodies at extraordinary rates. The authorities say the nation’s soldiers are simply better trained and more skilled than the cartels they battle. But experts who study the issue say Mexico’s kill rate is practically unheard-of, arguing that the numbers reveal something more ominous. The New York Times shares the troubling mexican military kill statistics that suggest something more about the issue. 19 months since the 43 Ayotzinapa students were forcibly disappeared by police in Iguala, Guerrero the findings of the investigation were presented last Sunday (24/04/2016) as part of the over 600-page final report of the Interdisciplinary Group of Experts, known as the GIEI, which has been forced to end its work on the case abruptly due to the government’s refusal to extend its mandat. The second and final report is a numeration of ills plaguing the justice system in Mexico and does not conclusively establish what happened to the students. But it’s impossible not to interpret it as an indictment of Mexico’s notoriously corrupt and often brutal justice system. The report, for instance, says the government’s version of events was based on the accounts of witnesses who were tortured. It faults Mexican investigators for failing to explore leads and for refusing to amend prior findings in the face of new evidence. Mexican environmental activist Gustavo Castro, the sole witness to the murder of Indigenous leader Berta Caceres and a victim in the attack, was finally allowed to leave Honduras in the morning of April 1 after a judge repealed the order that had kept him trapped in the country despite warnings that his life was in danger. Castro's lawyer, Ivania Galeano, told that his legal team made the request for him to be able to leave two weeks ago, in the aftermath of Caceres' murder on March 3. The Honduran Public Prosecutor's Office had banned Castro from leaving the country for 30 days, an order that was set to expire on Monday. 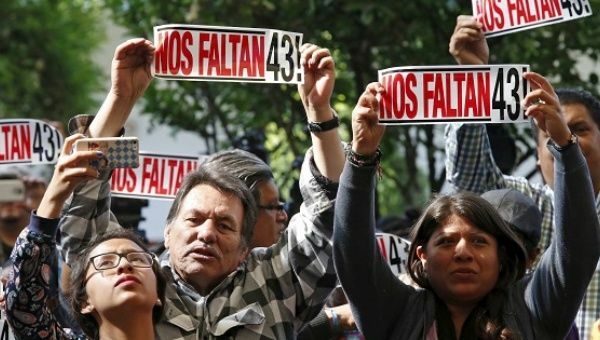 "Of course we receive this new resolution with great satisfaction because it confirms what we have been saying all this time that there is no legal justification to continue restraining Gustavo Castro in Honduras," Galeano added. Authorities lifted restrictions on Castro's travel on Thursday, but added that they reserved the right to call Castro back to the country should the need arise. I don’t know if these words will reach you one day. I came to Honduras with hope and anticipation. It had been many years since I visited, but I am thankful to Berta for inviting me. She and her family have been deepest friends for so many years. In spite of all I have gone through, I do not regret coming, nor being chosen by fate to be able to say goodbye to my dear friend. My wounds hurt greatly even as they heal into scars, but what hurts me more is the pain of the beloved Honduran people who do not deserve this fate; none of us deserve it. We have always admired this noble people so full of courage, who struggle so that all may have a life of dignity, where everyone belongs without exception and in justice. This was Berta’s struggle. Just as i feel the love of the Honduran people for Mexico, this is the love that i feel for this beautiful country, for its landscapes, its natural areas and above all, for its people, for their pride as Catrachos. 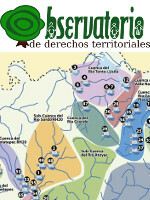 We cannot allow murder to cloud our hopes nor plagues darken the countryside. Delivered from the final resting place of our Berta. Our mom, our daughter, our guide. Her daughters Olivia, Bertha and Laura, her son Salvador, her mother Austraberta alongside family and friends, wish to make public our thoughts in this moment of profound sorrow. 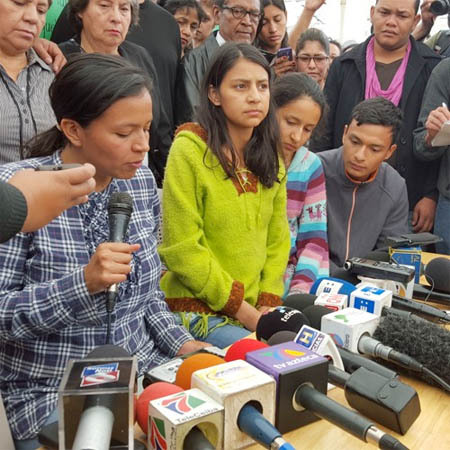 Our Berta is the greatest inspiration we have known, that is why we feel a need to ensure that the truth about her life and struggle is heard. Firstly, we want to say thank you for all the solidarity, both national and international. We want to say thank you for the support of her Lenca people, to whom she gave the best of her resistance. To the Garifuna people, with whom she bonded in struggle and visions of utopia. To all the organizations and social movements in Honduras, Latin America and the world who have made our pain their own.